'Christabel's View of the Worl.. The spring MTSU Department of Physics and Astronomy Star Party series begins Friday, Feb. 1, when professor John Wallin discusses “Cosmic Chemistry” in Wiser-Patten Science Hall Room 102. 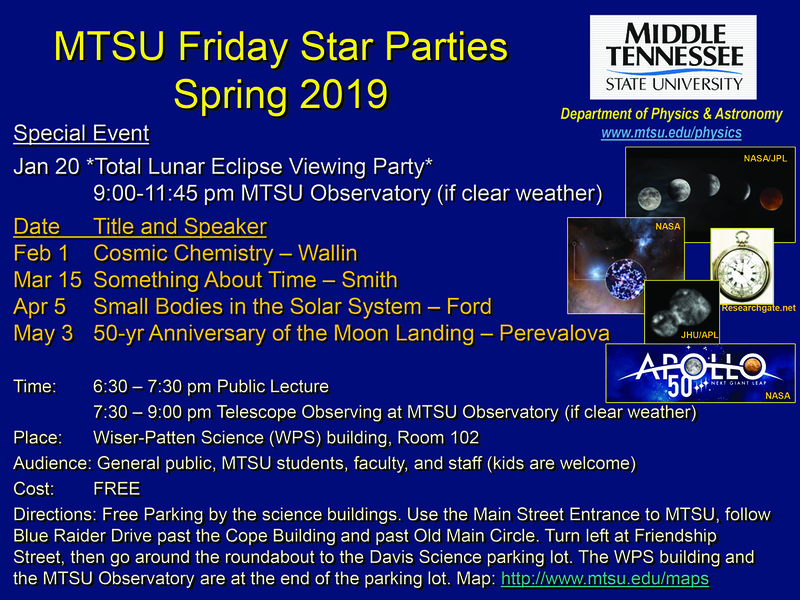 First Friday Star Parties are a way for the department to bring MTSU, Murfreesboro and surrounding communities together. 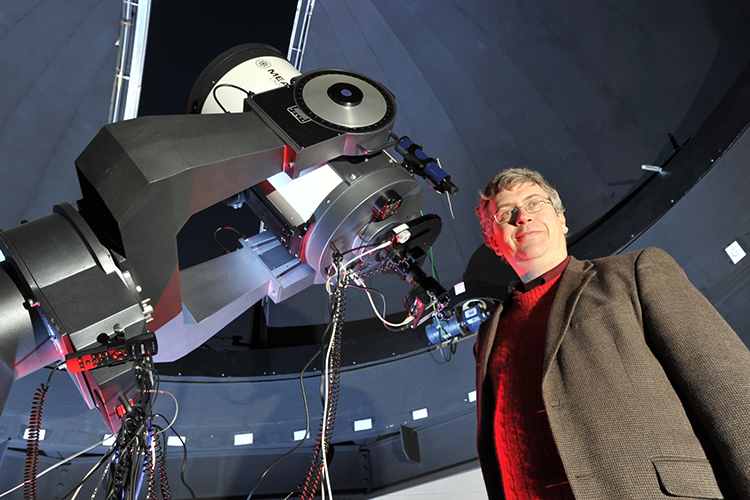 The event will feature a lecture followed by telescope viewing outdoors, weather permitting. The event, which is free, is open to the public and MTSU students and faculty. Attendees should dress according to the weather for the outdoor portion. To find free parking after 6 p.m. on campus, visit http://tinyurl.com/MTParkingMap. Handicap parking requires a state permit. Wallin said he will talk primarily about “a really basic question — where did your atoms come from?” during his 45- to 60-minute lecture, which starts at 6:30 p.m.
“We are going to explore the very first steps in the recipe,” Wallin added. • March 15 — “Something About Time,” featuring associate professor Nat Smith. • April 5 — “Small Bodies in the Solar System,” featuring assistant professor Jana Ruth Ford. • May 3 — “50-year Anniversary of the Moon Landing,” featuring instructor Irina Perevalova. For more information anytime about MTSU’s Star Parties, visit www.mtsu.edu/observatory/star_parties.php.